The kind of stories that have Chicago written all over them. 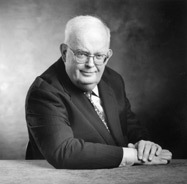 Chicago Stories is the critically acclaimed WTTW11 series that has delivered hundreds of surprising, sad and funny stories from the pages of our city's history. 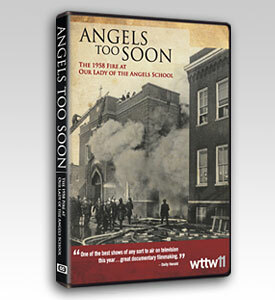 WTTW’s Emmy award-winning program about the fire at Our Lady of the Angels school is now available on DVD. 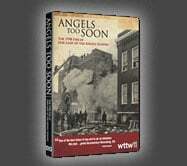 This program tells the unforgettable story of ordinary people caught up in a mind-numbing disaster. Add it to your collection now. 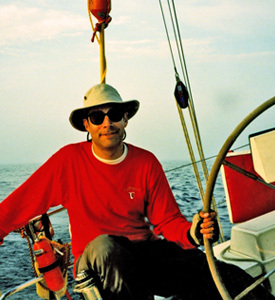 Everybody loves a good adventure story, and this is one that Chicagoans can really relate to. Because the adventure takes place on our own Lake Michigan. It's the famous race from Chicago to Mackinac Island in Northern Michigan.